קמפיין כרתים 1941 - ניצחון! עמוד ראשי -> אי אל 2 -> קמפיין כרתים 1941 - ניצחון! 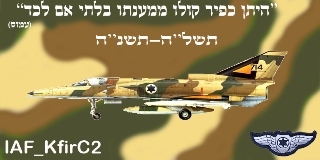 נשלח: 11:32 ,11 דצמבר 2012, ג' כותרת הודעה: קמפיין כרתים 1941 - ניצחון! Well we did it guys and I would like to thank all of you for your efforts and dedication to this campaign. Holding Crete or even just evacuating enough infantry to achieve our primary objective seemed like a near impossible task but with some luck and skill we have reached that goal. Whilst we await a campaign announcement from the admins I can tell you all now that we have achieved our primary and tertiary objective. It was only the secondary objective which eluded us but only by a couple of ships, however heavy naval losses were expected as we kept our task forces between Crete and the likely axis convoy routes the Royal Navy did us proud in Crete sending countless axis ships to the bottom along with tens of tanks, guns vehicles and infantry.